From The New Criterion. September 7, 2011. News is not news anymore — at least not in an unqualified way. Like so many other things, it now depends on which team you follow. On the day of the wedding in Westminster Abbey of Prince William and Kate Middleton, who were subsequently to be known as the Duke and Duchess of Cambridge, the home-town Guardian provided a toggle on its Home Page marked "Royalists Click Here." Clicking would take you to the sort of extensive wedding coverage that all the other British papers featured, but it would also bring up a "Republicans [N.B. that’s republicans with a lower-case "r"] Click Here" button that would take you to an alternative home page without anything on it to do with the Royal Wedding. It seemed to me to be an amusing bit of self-satire by this unashamedly left-wing paper, a public recognition that its readership was likely to be divided (as that of most other British papers would not have been to anything like the same extent) between those who fancied themselves offended by the royal hoopla and those who would have been equally offended by its absence. But it was also an indication of the new attitude to news emerging from the roiling seas of the new media — an attitude of which the traditional media are more and more likely to have to take account. As the Slate columnist Jack Shafer wrote in congratulating the Guardian on its "brilliant" move, "maybe the NYTimes should add a ‘Republicans [upper case] click here’ button." Maybe, I thought, the Times would need some of The Guardian’s self-detachment before it could even get the joke. But although the paper isn’t going to start catering to Republicans any time soon, it has already effectively embraced the principle that what it used to call "All the News that’s Fit to Print" is now printed — or electronically beamed — to fit the prejudices of its liberal readership. They may not have clicked a button to be told only the latest on Donald Trump and the "birtherist" controversy or the heroism of our President’s all but personal takedown of Osama bin Laden and the cheers of millions it gave rise to, but that is what, for much of the month before I sat down to write, they have (mostly) got instead of news about more responsible Republicans or the less successful initiatives of the Obama administration. Those are things that most New York Times readers, like those Guardian-reading republicans, presumably don’t want to hear about. Not that it is completely different on the other side of the political fence, of course. People naturally want to read the news that conforms to their prejudices about the world, political and otherwise, and don’t want to read that which doesn’t. But on the other side the media are not burdened by the pretense of objectivity and non-partisanship that makes the posturings of liberal organs like The New York Times so risible. An unintentionally amusing report in the Times by Teddy Wayne informs us that "almost as many Americans now receive their political campaign news from the Internet as from newspapers" and that, among them, "forty-four percent of Republicans usually get political news from online sources that share their point of view, versus 37 percent of Democrats." But as these numbers, derived from a study by the Pew Research Center, are self-reported, there is no way of telling how many of the Democrats consider The New York Times’s to be one of those sites that "share their political point of view" rather than one of those that "don’t have a particular point of view." Not so many, I’ll wager, as Republicans who identify Fox News as sharing their political point of view. 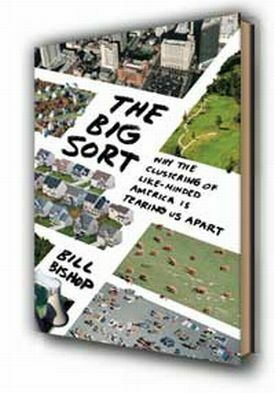 In any case, the tendency towards a media equivalent of what Bill Bishop calls "The Big Sort" is pretty unmistakable — and not only in America. On the day after the news broke of Osama bin Laden’s sudden demise, Sadie Smith and Jerry Hayes published a brilliant piece on the British website TotalPolitics which presciently noted: "Osama bin Laden’s death will prove us all right." Everyone will claim that his death proves what they’ve been arguing all along is the case, and what they predicted for the future is now a certainty. It will simultaneously be the fault of Western imperialism, Tony Blair, Pakistan, and Hamas. Contortions will be made, and hoops jumped through in order to prove — so don’t worry folks — the world is always as we understood it to be, and the rest is just ignorant evil. So much for reason, rationality, and considered discourse in a secular 21st century. And, lo, almost at once, the spate of stories on the three main topics given rise to by the operation by U.S. Navy SEALs that killed bin Laden, one of his sons and two other terrorists hiding in plain sight in Abbottabad, Pakistan, seemed to fall precisely into the Smith/Hayes pattern. The three stories were these. First, the connection, if any, between the successful operation and the anti-terrorism measures of the Bush administration, especially those "enhanced interrogation techniques" — a.k.a. "torture" — that were discontinued by its successors; second, the murkiness surrounding our knowledge of what actually happened and whether any useful light would be cast upon it by the release of photographs of the dead terrorist’s corpse. This also included the story of the administration’s inept and frequently revised account of its own operation and its tergiversation about releasing the photos to the public. The third story was that of the celebrations which greeted the news and whether they were to be deplored or not. In one way, all three had an appeal that stretched across the political spectrum, but all three, whether in traditional or online media, tended to come ready made with a right and a wrong answer to the questions they posed, depending on which side of the political divide one stood on. All were framed in such a way as to support the right and discredit the wrong answer while trailing editorials, op-eds and blog posts designed to lay down the law as to the reader’s permissible views on the subjects, rather than arguing the case. This was especially true of the "torture" debate. Or, rather, the torture "debate," as everyone involved in it on both sides appeared to have the same certainty that there was no debate and that his own position on the matter was the only correct one. "Torture," is of course one of those words that carries with it a ready-made certainty as to what to think about it. It’s rare to read an article that purports to be "In Defense of Torture" — a Google search turns up a few from 2003 or 2004 but none more recently — which is why the Bush administration’s torturers had to invent the euphemism of "enhanced interrogation techniques." This suggests that it is the word more than the thing it signifies that we are frightened of or invite our readers to abhor, along with its alleged perpetrators. Yet there is no clear point on the continuum between discomfort or inconvenience and the death agonies of, say, burning at the stake or hanging, drawing and quartering where the inevitable physical and mental pains of judicial punishment or interrogation become torture. Incarceration itself, which is at the very foundation of our penal system could be represented as such, and nor was the swiftness of bin Laden’s execution any surety that it didn’t involve at least as much torture as a waterboarding, from which, at least, there is an aftermath this side of the grave. In this all civilized men and women agree: Torture is condemned by American law, international law and by the pronouncements of the Roman Catholic Church. In 2005 it was condemned by Congress at the instance of, among others, Sen. John McCain. Now, the same apologists who applauded President George W. Bush’s authorization of torture — and make no mistake, waterboarding is torture — are working to stain this great triumph. They argue that but for their barbaric treatment of detainees through 2003, we would never have found our man. where both premisses and the conclusion are mere assertions. Nor do the Frieds even consider the question raised by what the New York Times editorial disdainfully calls "The Torture Apologists" as to whether the killing of the top terrorist owed anything to the Bush men’s waterboarding except to say that "the claim is indecent most immediately because there is no way of knowing whether it is true. . . but even if true, it does not make the point." And why doesn’t it make the point? Because the point does not fit with the hoary old hypothetical of "the ticking bomb requiring immediate defusing" which the Frieds prefer to worry into a premature grave. Never mind that that’s not what the indecent and uncivilized folks are arguing in this case. Naturally, this doesn’t bother the Frieds because they have already discredited them to their own satisfaction as indecent and uncivilized. makes it impossible for the Republicans to label Obama as a weak, emasculated president, removing a key weapon in their classic political arsenal. It also makes Obama the man who brought justice to a traumatised nation still quietly depressed by its failure to find, let alone kill, the architect of the worst crime against American civilians in history. No amount of crazed, right-wing propaganda can erase that fact. The Democrats have their manhood back. And the country’s first black president killed the country’s most despised foe. You think that doesn’t penetrate the red states? White House officials said repeatedly that their goal was to keep the public apprised of a compelling operation that was relevant to millions of Americans touched by the Sept. 11, 2001, attacks. At the same time, they said that failing to quickly assert a story line about bin Laden’s demise could have led to an information vacuum, allowing his radical followers to claim him as a martyr. And unlike prominent incidents during the George W. Bush administration, including the exaggerated rescue of Pfc. Jessica Lynch and the false account of who killed Army Ranger Cpl. Pat Tillman, Obama advisers moved swiftly to correct their own mistakes. Some of the errors were minor. . .
Or at least minor in comparison with those "prominent incidents" under former President Bush. Even when the latter modestly declined to join the President’s public appearance at the site of the World Trade Center afterwards, he was slammed by Maureen Dowd for supposedly preferring "to sulk in his Dallas tent rather than join President Obama at ground zero in a duet that would have certainly united the country." Not that the country was not pretty united anyway. Few in the media appeared to share the "unease" with which the Archbishop of Canterbury received the news of bin Laden’s death, but there were rumblings from those made uneasy by the subsequent celebrations, particularly those among college students chanting "U.S.A.! U.S.A.!" The New York Times offered at least two columns to writers who offered to soothe the anguished liberal soul with explanations for these bouts of unseemly patriotism. Benedict Carey, for instance, cited an anonymous student at the University of Virginia who scolded his or her coevals for "the worst kind of jingoistic hubris," noting that "in blogs and online forums, some people asked: Doesn’t taking revenge and glorying in it make us look just like the terrorists? The answer is no, social scientists say. . ." Well, there’s a relief! These social scientists were said to say celebrating is OK because "revenge is most satisfying when there are strong reasons for exacting it, both practical and emotional," according to Michael McCullough, author of Beyond Revenge: The Evolution of the Forgiveness Instinct. Isn’t science great? the operation also provided a rare burst of communal good feeling that some celebrated with flash-mob demonstrations at ground zero, the White House and Times Square, among other places. It turns out that Twitter and Facebook messages weren’t enough — quite a few people wanted to be with other celebrants and to feel good news full-on, the way Egyptians celebrated Hosni Mubarak’s fall or the way Britons turned out to fete the royal wedding couple. The crowds of Americans waving flags and singing the national anthem looked almost retro, like clips of V-E Day in 1945. I love that: almost retro. And so we return to the royal wedding. In a brilliant column in The Independent the novelist Howard Jacobson essayed an explanation of the vital connection between the royal wedding and the death of the terrorist mastermind — which was not, as he amusingly speculated at first, that Osama was so enrapt by the TV coverage of the royal wedding that he didn’t hear the commandos coming, but rather that ordinary human life is largely impervious to the things that motivate advocates of political agendas of whatever kind — witness the number of Guardian-reading republicans who clicked on the "Royalists click here" button or who were glued to the box watching Will ‘n’ Kate in spite of themselves. "Is it permissible to enjoy that which you abhor? Reader, it is. Enjoying what you abhor, abhorring what you enjoy, not knowing what you think about anything but doing it anyway — this is what stops us being Osama bin Laden. What republicans have been bemused to discover about themselves is nothing more nor less than that they are human." The rationalist view of human purpose, to which all atheists if not all republicans are wedded, misses the best thing about us, which is that often we do things for no good reason and for which there is no genetic payoff, unless benign pointlessness is a genetic payoff. . . I am not surprised that atheists and republicans despair of those they would save from what looks to them like irrational behaviour. But they make the mistake of assuming that those who don’t think as they do must think erroneously, when the truth is they don’t think at all. The world might be better if they did, but it could also be far worse. Remember Osama bin Laden who knew exactly what he thought. He might have made the same point about the celebrations, which were another outpouring of human feeling that revealed not the bloodthirstiness or imperialist impulses of the American people towards a man whom most of them had half-forgotten anyway but simply a desire to celebrate a victory for our side — that is, in their own words, U.S.A.! For those whose side is some rationalist political program there are never going to be so many opportunities to celebrate as there are for those who cheer for a person, a couple, a country or a team of Navy SEALs.